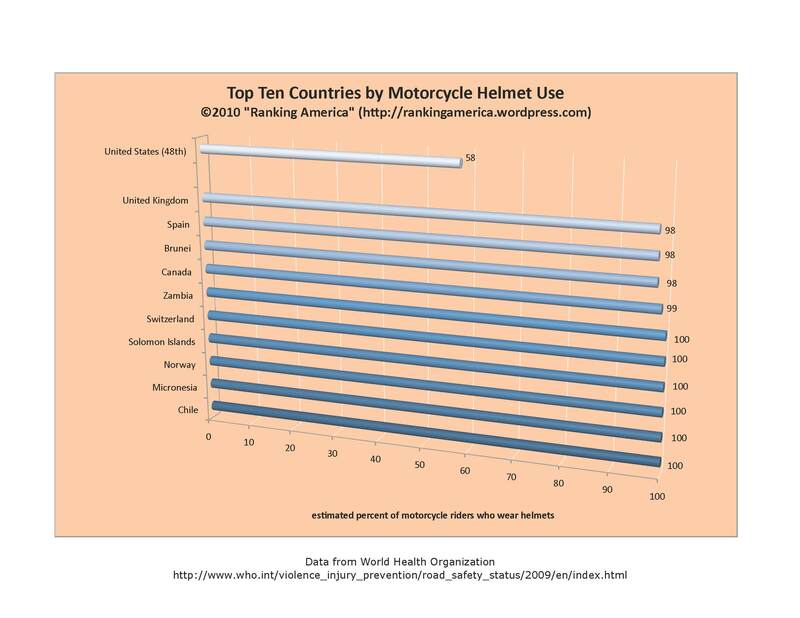 According to the World Health Organization, an estimated 58% of motorcycle riders in the United States wear helmets, which makes the United States tied with Greece for forty-eighth out of the sixty-four countries who reported such data. Several countries tied for first, with an estimated 100% helmet use: Chile, Micronesia, Norway, Solomon Islands, Switzerland, and Zambia. 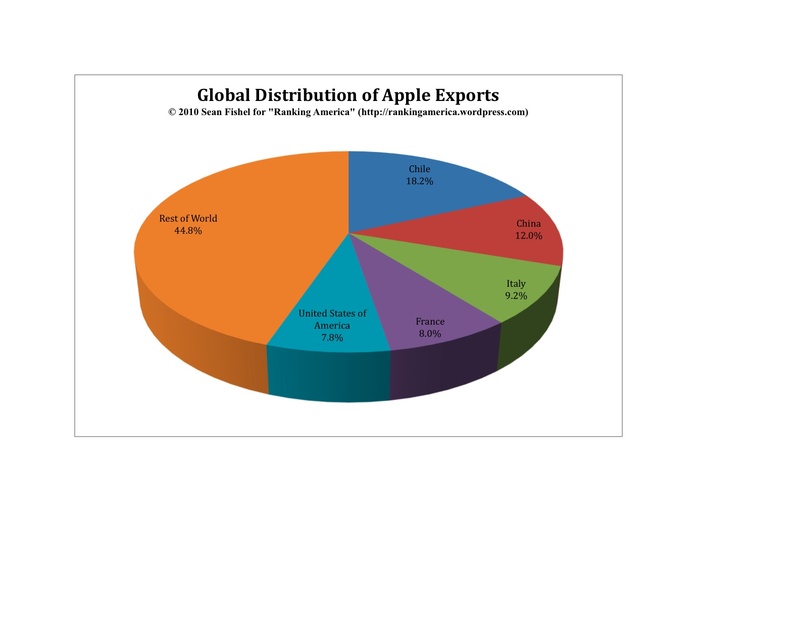 According to the Food and Agricultural Organization of the United Nations, in 2007 the United States exported 663,465 metric tonnes of apples, enough to make the United States rank fifth in that category. 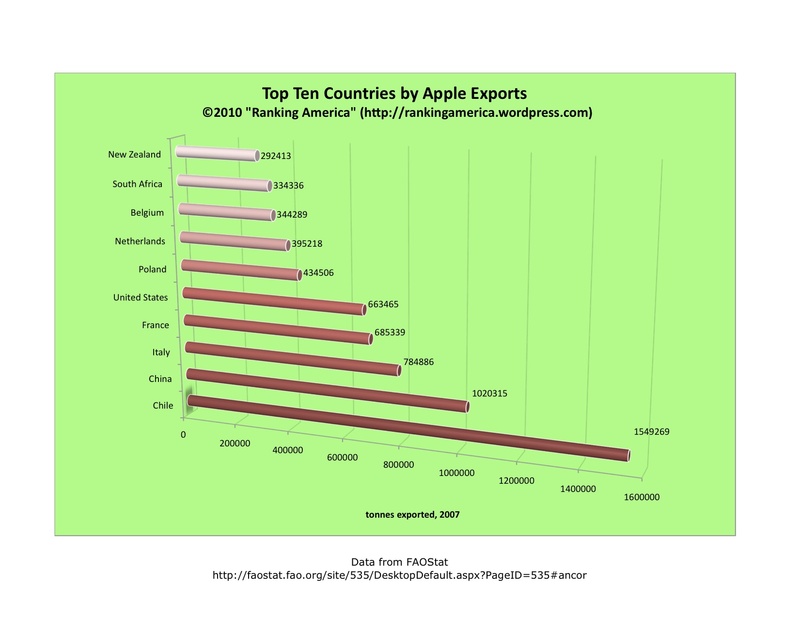 Chile ranks first, exporting 1,549,269 tonnes. 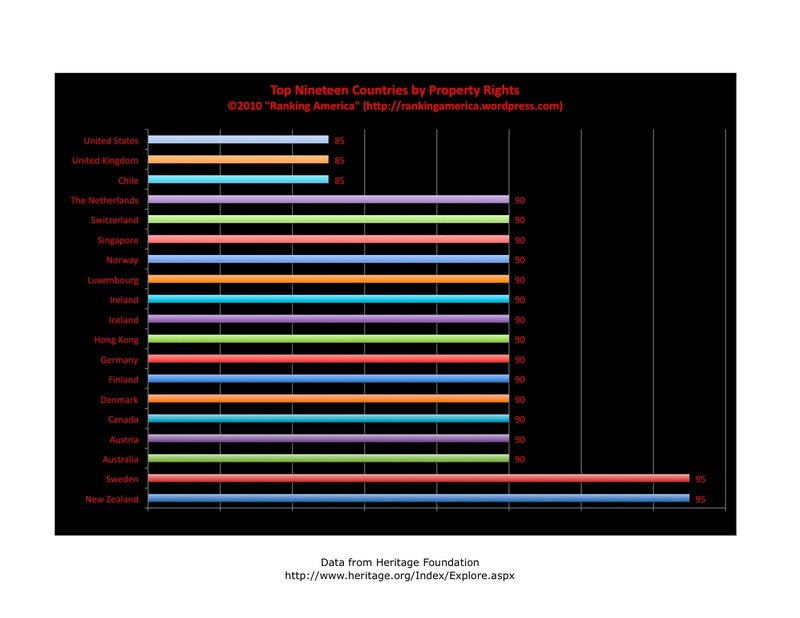 According to the Heritage Foundation’s 2010 Index of Economic Freedom, the United States has a property rights score of 85, which makes the United States tied for seventeenth with Chile and the United Kingdom in that category, out of 179 ranked countries. New Zealand and Sweden rank first, with a score of 95. 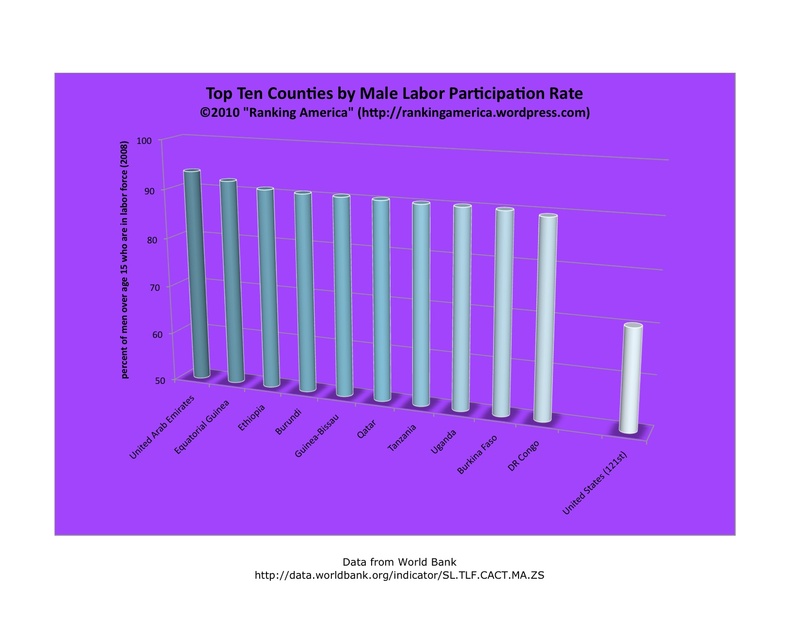 According to the World Bank’s World Development Report, 2009, American women have a life expectancy at birth of 81 years, which makes the United States tied for twenty-fourth in that category with Chile, Costa Rica, and the United Kingdom. 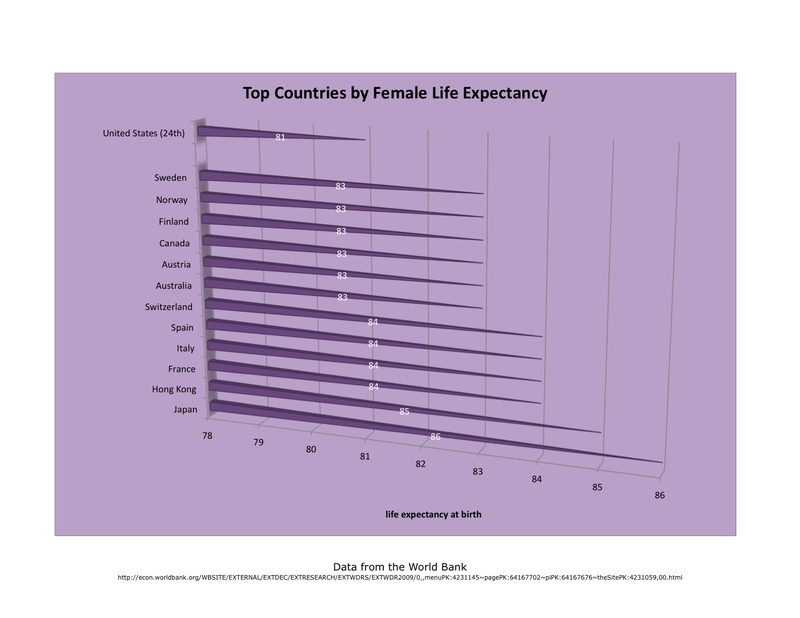 Japan ranks first, with a female life expectancy of 86 years at birth. 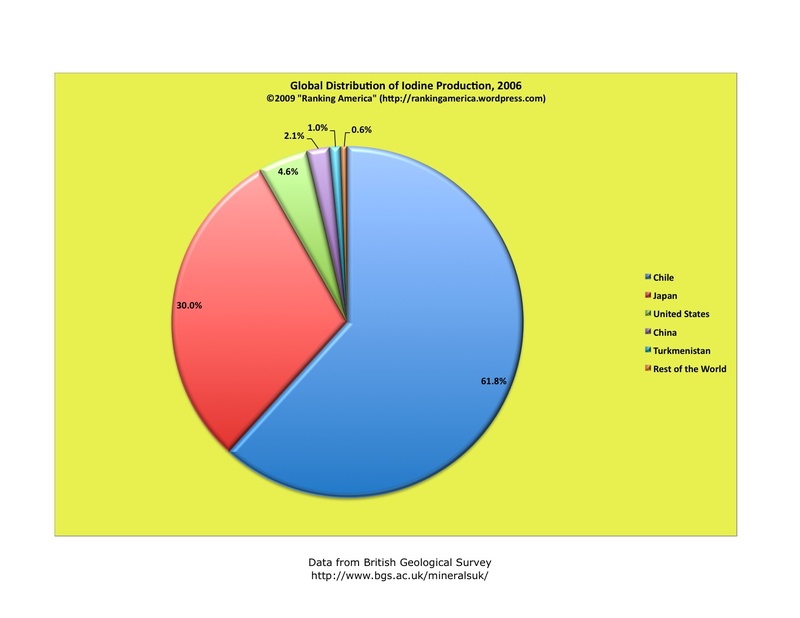 According to the British Geological Survey, in 2006 the United States produced 1,220,000 kilograms of iodine, or 4.6% of the world’s total, which is enough to make the United States rank third in that category. Chile ranks first, producing 16,494,000 kilograms, or 61.8% of the world’s total.